What kind of funds can list on GSX? 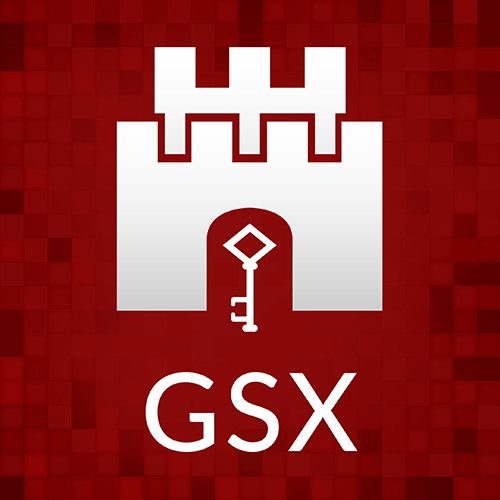 GSX lists funds from all of the major fund and financial jurisdictions globally listed here. The listing of these funds on GSX’s Main Market and Global Market are governed separately by their respective Listing Codes. GSX also lists debt securities. Check our site periodically to see when more products have been added. Do the fund, its accounts, or service providers have to be in Gibraltar? No. In general, both open-ended and closed-ended funds that are licensed, registered, authorised, and/or regulated as a Collective Investment Scheme (CIS) by a competent authority empowered to supervise financial services in a GSX Recognised State, are welcome to apply for admission to the Official List of GSX. All the major global fund centres are included as GSX Recognised States. For a list of all Recognised States, please see here. Why should I list my fund? Listing on a stock exchange distinguishes a fund from its unlisted competitors. It signifies a higher standard of diligence and transparency. It holds a fund to scrutiny and therefore demands greater dedication to the professional conduct of its business. Listing can also bring certain regulatory and institutional benefits such as access to a wider range of eligible investors. For example, a listing with GSX exposes a fund to professional, institutional, and retail investors both local and international that may only invest in listed companies or financial vehicles. How do I list my fund? An applicant that is either an open or closed-ended fund must first appoint a Class 1 Member Firm which is qualified to list funds on either the Main Market or Global Market respectively) and is responsible for dealing with the Gibraltar Stock Exchange on all matters relating to the application, listing, and continuing obligations of the fund. In addition, for Closed-Ended funds, in order to seek admission to the Main Market, an applicant must prepare a prospectus that complies with the Prospectus Directive. Discuss this with your Member Firm. Is there a minimum AUM/capital requirement? Yes. For open-ended funds the aggregate market value of the units of an applicant must be over €1,000,000 or the foreign currency equivalent if it has been active for more than 12 months. For closed-ended funds the market capitalisation of the shares for which admission to official listing is sought must be an amount in sterling equivalent to at least €1,000,000. What is the estimated overall cost of listing a fund? The total fee charged by a Member Firm to list your Fund is dependent on the complexity of the structure. However, it is the ambition of the Gibraltar Stock Exchange’s Member Firms to offer both a commercially attractive and fast-to-market service. How much is GSX’s listing fee? Listing fees are competitively priced. The fee schedule can be found in lower section GSX website. Reporting requirements are laid out in the GSX Main Market and Global Market Listing Codes for open-ended and closed-ended Collective Investment Schemes. These are available for download in the lower section of the GSX website. What else should be considered to list a closed-ended fund? A closed-ended CIS seeking admission to the Main Market must publish a prospectus that has the prior approval of the Home Member State (i.e. complies with the EU Prospective Directive). GSX has published a Closed-Ended CIS Prospectus Handbook to help the applicant prepare the Prospectus. The legal position of the applicant must be in conformity with the laws and regulations to which it is subject, both as regards its formation and its operation under its statutes. The legal position of the shares must be in conformity with the laws and regulations to which they are subject. Applicants must be a closed-ended fund and must be licensed, registered, authorised, and/or regulated by the Competent Authority of a GSX Recognised State or be otherwise acceptable to the Gibraltar Stock Exchange and the Listing Authority. Applicants must have published or filed their annual accounts in accordance with their national law for the last 3 financial years ending before the date of the application. The controllers of applicants must be able to demonstrate their ability to act independently of any appointed investment managers of applicants. The market capitalisation of the shares for which admission to official listing is sought must be an amount in sterling equivalent to at least €1,000,000. Annual accounts must be made public within 4 months of year-end, half-yearly within 3 months.